It’s Saturday. You’ve slept in, chilled out and still have the rest of the weekend to unwind. Joy like that shows on your skin – and Saturday Skin lets you recreate that weekend glow every day. 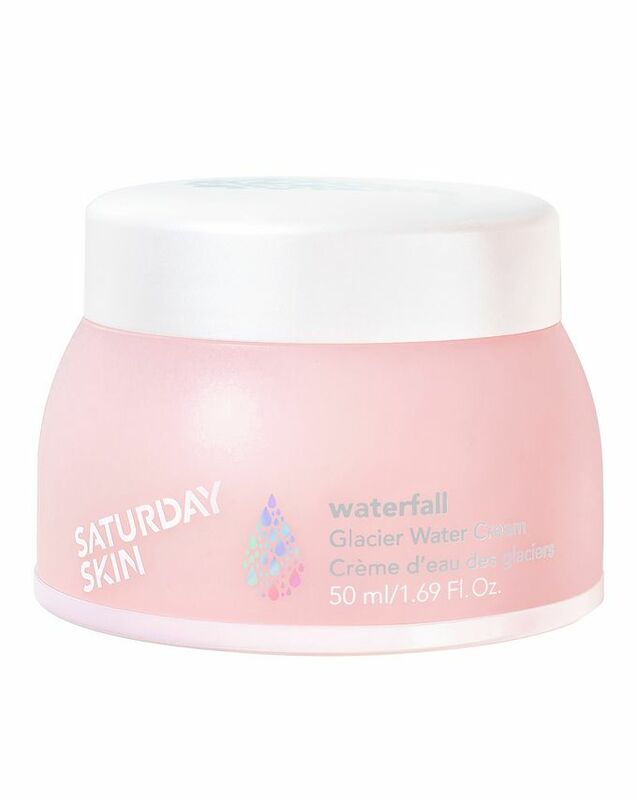 Delivering mineral-rich moisture while protecting from free radicals, this age-defying glacier water cream features a fusion of ferments, amino acids and plant extracts to help calm skin and boost vitality and suppleness. 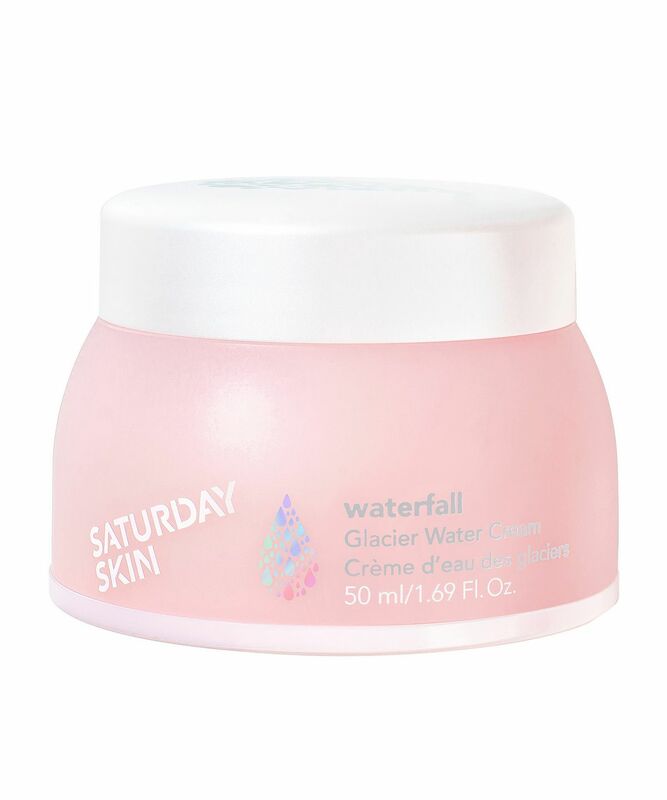 A luscious gel cream that’s perfect for hydrating parched skin without overburdening it, Saturday Skin’s Waterfall Glacier Water Cream is a pink-hued dream come true for your complexion. The age-defying formula is enriched with cooling, soothing glacier water to deliver mineral-rich moisture while protecting from free radicals. A fusion of ferments, strengthening amino acids and plant extracts help to calm skin while boosting vitality and suppleness. Behind its playful branding, Saturday Skin is developed out of cutting-edge research, created by scientists at Chaum, a renowned wellness centre in Seoul, South Korea. The key to Saturday Skin is the Cha-7 es Complex™, an exclusive peptide formula that promotes skin's natural regeneration process to reveal your clearest, dewiest complexion yet. Apply in the morning after cleansing, or whenever your skin’s in need of hydration. One of the most hydrating yet lightweight gel moisturiser I've ever used! My skin laps this up without making it feel thick. Recommend. I tried this product and it’s amazing for dehydrated skin! I would definitely recommend this lightweight gel if you don’t like a thick moisturiser but want all the hydration benefits. It left my skin feeling fresh, soft and supple. I tried this product, and honestly it is like a drink of water for your skin! It is beautifully nourishing and hydrating, and left my skin feeling super soft. Would definitely recommend.